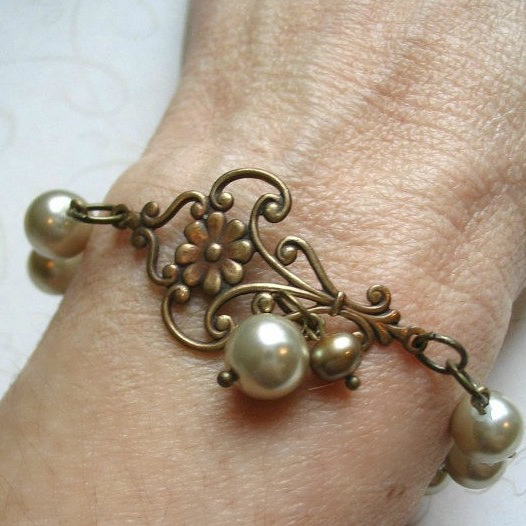 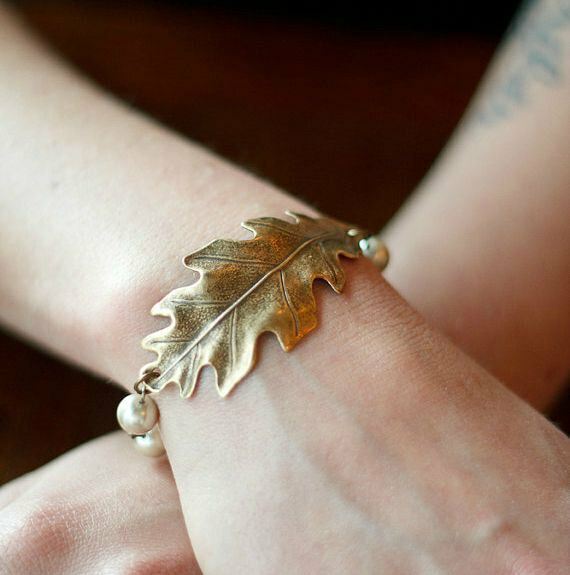 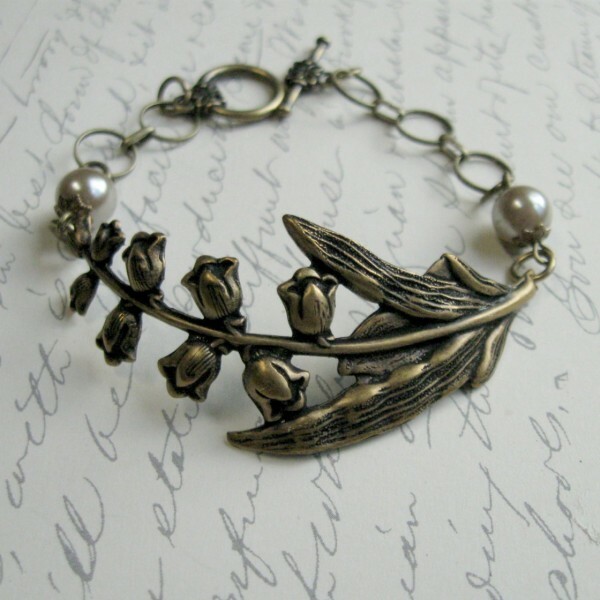 Here is a fabulous vintage style, brass oak leaf bracelet, featuring a nicely detailed brass oak leaf, along with taupe colored glass pearls. 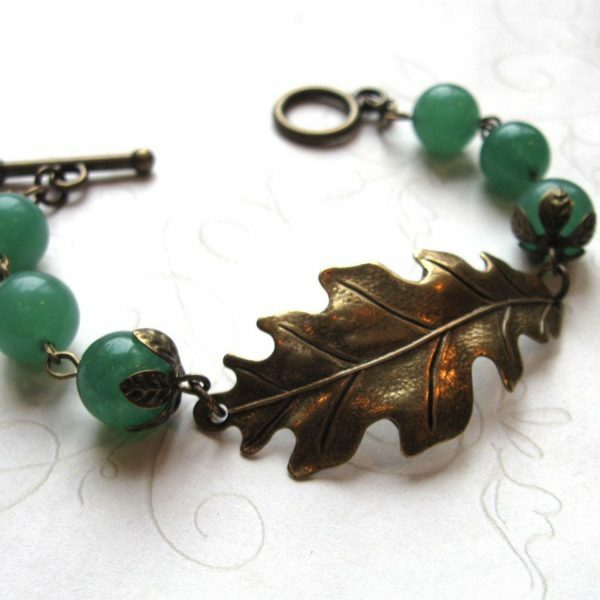 This bracelet comes with a brass toggle style clasp. 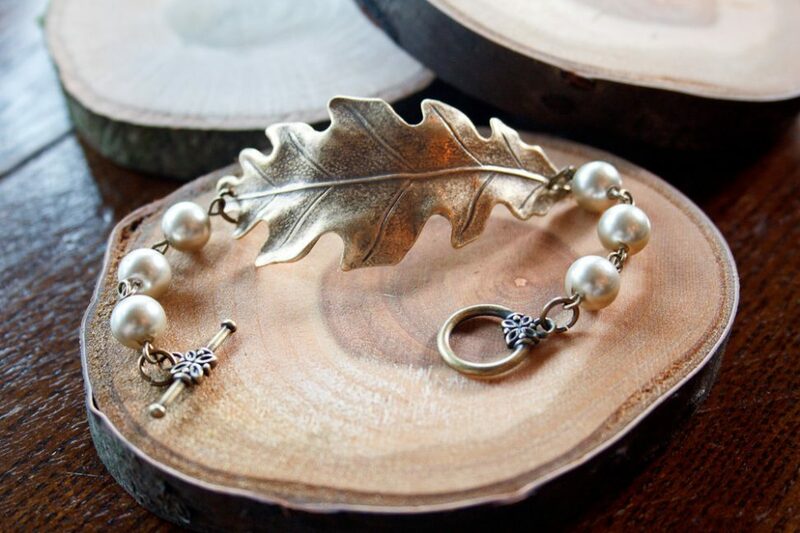 Please note toggle style may vary slightly from the one pictured.